Makeup Artist Cindy Landon; Is she Dating after separating from Michael Landon? Cindy Landon, the former makeup artist, and philanthropist is a happy single mother. 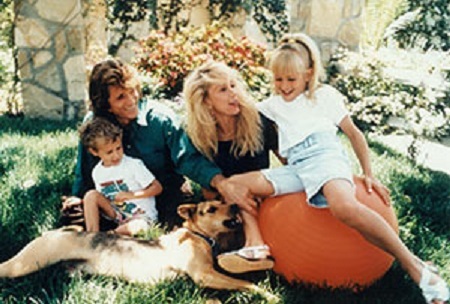 But has the mother of two moved on with her life after the death of her husband, Michael Landon? The Where Pigeons Go to Die director Michael Landon died due to pancreatic cancer in 1991. The couple was happily married until the tragic demise of Michael. We lose the person, but life goes no, so, has Cindy moved on? Is she dating? Who is her boyfriend? We have some exclusive details here!!!!! Cindy Landon's Current Relationship Status; Is She Dating a Boyfriend? Cindy Landon is still not married yet, and there are also no rumors of her having a boyfriend. It looks like she is still not ready for the new relationship. She is entirely focused on her children and career. Longtime Malibu resident Cindy has been working for the welfare of animals. Her works were praised by the 'Philanthropist of the Year' award by the non-profit animal welfare organization Last Chance for Animals (LCA) in October 2016. "I’ve supported various animal groups for a long time." 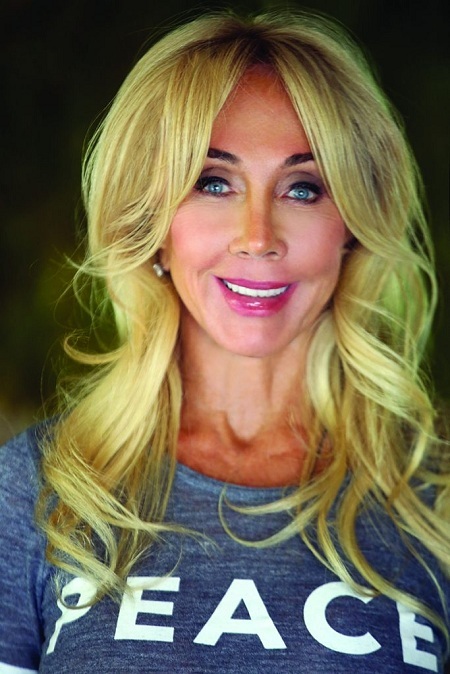 "Cindy Landon has been involved in philanthropic efforts for decades. It’s her wide body of work. Plus, over the past seven or eight years, she’s been even more hands-on with LCA than she was previously. She’s pretty involved on a monthly basis, wanting to know what we’re doing and how she can help." Her kids Jennifer Landon and Sean Matthew Landon are grown-ups now. Both of them are working as advocates for the Pancreatic Cancer Action Network. They work on raising awareness and advocate for national funding for pancreatic cancer research. As Landon has devoted her entire life to the welfare of animals, it's definitely the reason she's not giving time for her personal affairs or she's yet to encounter her love life in days to come. Besides her personal affair, she is a proud vegetarian. She supports people who prefer adopting a vegetarian diet. She was strongly against the Trump Administration of 'setting higher standards for the treatment of animals whose meat could be sold as organic'. She also addressed her dissatisfaction via Twitter in May 2018 against the elimination of animal welfare rules of President Donald Trump. It seems the makeup artist Landon finally found the love of her life. Though the gorgeous diva is yet to reveal details about her current relationship status and dating life, her Instagram posts speak stories hidden behind. She's spotted with her mystery boyfriend during a trip to Germany, Italy, and Switzerland. They are spotted pretty cozy in one of the images at the end of their trip. She is frequent on Instagram with her mystery man. She, however, managed to keep her romantic life hidden behind the bar. Back in August 2018, she listed her Malibu Beach House for $18 million. She worked with the local architect Doug Burdge to create to renovate the house for some modern look investing $4 million. "I had every intention of moving into the home but when it came time to move I realized I wasn't ready to sell and move from the home Michael and I built together—and where [our] children were raised." She addressed that her son Sean helped her in the entire process. Michael Landon and Cindy tied the knot in the year 1983. It was the third marriage of Michael but the first one for Cindy. The couple met for the first time when she was working as a makeup artist on the set of Little House on the Prairie. "I could feel every nerve in my body like it was all lit up." After some months of struggle and surgeries, he died on 1 July 1991 in Malibu, California. His family members faced a lot of troubles for several months after his death. Michael has a total of nine kids from his previous married life with Dodie Levy-Fraser, Marjorie Lynn Noe, and Cindy. Though the star is not amongst us, we wish his departed soul rest in peace in heaven. She was born on 27 January 1957 in Los Angeles, California. Best known for her work in Sanctuary (2016), After Kony: Staging Hope (2011), and Whaledreamers (2006). Her former husband Michael Landon is an American actor best known as Little Joe Cartwright in Bonanza and Charles Ingalls in Little House on the Prairie. Cindy was a makeup artist on Little House on the Prairie. Her late husband had an estimated net worth of about $40 million.